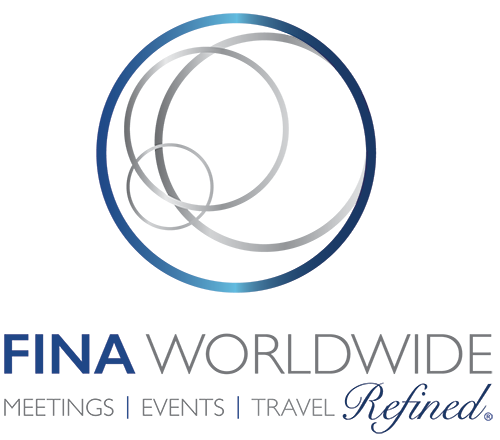 FINA WORLDWIDE is a full-service meeting, event and travel management company. With over 18 years of experience, we have managed high-profile meetings, events and travel for a wide range of Fortune 500 corporations and private organizations globally in the Hospitality, Entertainment, Pharmaceutical, Financial Services, Technology and Government industries. FINA WORLDWIDE has the innovative edge to deliver refined, exceptional meetings, events, and travel experiences. Our professional team has the expertise, passion, creativity, and commitment to meet our clients’ high standards. Through our global partnerships, personalized service, innovative ideas, and strategic solutions, we will bring your vision to life! Relationships are the basis of our business. We combine our talents to give our clients the best results. We take great pride in our distinctive working culture. We bring together the ideas of global partners to fulfill our clients’ needs. Our resources around the globe translate into opportunities, knowledge and experience. It is the refinement in the details and the balance of innovative concepts that sets us apart in the meetings industry. Our expertise in meetings management, understanding our client’s refined expectations, expanding our strategic global partnerships, make us your best resource when planning your meeting or conference. It is the refinement in the details and the balance of innovative concepts that sets us apart in the special events industry. We partner with the most distinctive venues, caterers, floral designers, photographers, and entertainment companies worldwide. From intimate dinners, to wedding receptions to charity galas; your vision, personal style and inspired ideas will be showcased throughout your event. Our expertise in event management, understanding our client’s refined expectations, and our impressive talented team, has earned us the reputation for executing the most graceful, seamless executed events. We are the experts in refined travel adventures – Share our passion of travel! Our expertise in luxury travel, understanding our client’s refined lifestyle, and our team experiencing first-hand our luxury travel packages, make us your best resource in enriching your travel experience. Our customized luxury travel itineraries allow you to maximize your time at your travel destination. If you have a passion of travel and would like to experience new cultures in a luxury setting; we welcome you to refined, ‘once in a lifetime’ transformative travel experiences. If you have any inquiries or would like to receive a proposal, please contact us at info@finaww.com. Copyright © 2019 FINA Worldwide, LLC. All Rights Reserved.